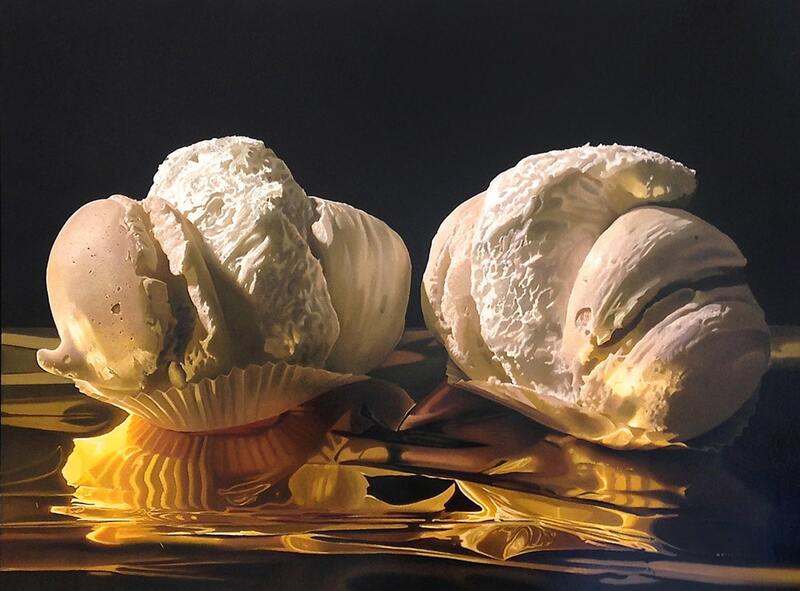 Luigi Benedicenti (born 1948) is a Photorealist painter from Torino, Italy, recognized for his seductive representations of sweets, pastries, and other still life compositions. Benedicenti’s sensual use of light, reflection, and his invisible brush strokes make his gloss-like paintings seem edible enough to eat. Luigi Benedicenti was born in Torino, Italy, in 1948. He has had an impressive exhibition history with solo exhibitions throughout Italy and New York City. Benedicenti’s work is published in a number of publications and exhibition catalogues including Architectural Digest.